For the next installments in my series about FTP clients, I will be taking a look at two FTP redirectors at the same time. 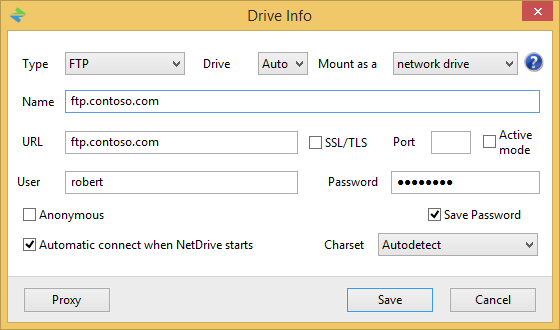 In this specific blog post, I will focus on NetDrive (from Bdrive Inc.), whereas my previous post looked at WebDrive (from South River Technologies). 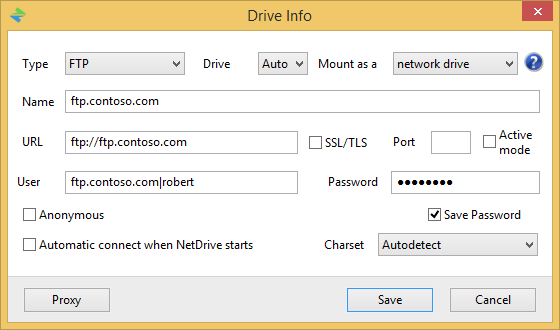 For this blog post I will be using NetDrive version 2.3.2. As you can see from the illustration above, NetDrive's list of support technologies is quite extensive: DropBox, Box.net, Google Drive, OneDrive, Amazon S3, Openstack Swift, FTP, SFTP, and WebDAV. I would love to take an in-depth look at all of the supported protocols in this review, but this series is about FTP clients, so I'll move on to the FTP-specific features that I normally review. True FTP hosts are not supported natively by NetDrive 2.3, and there are no settings which allow you to customize the login environment in order to work around this situation. 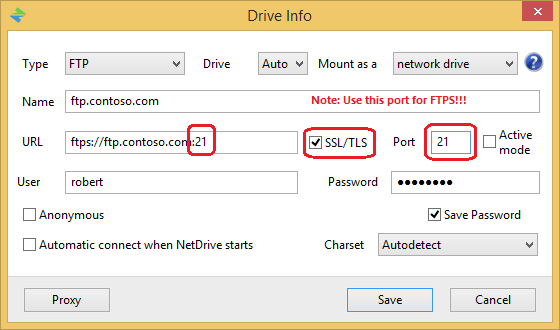 NetDrive 2.3's login settings allow you to specify the virtual host name as part of the user credentials by using syntax like "ftp.example.com|username" or "ftp.example.com\username", so you can use virtual FTP hosts with NetDrive 2.3. 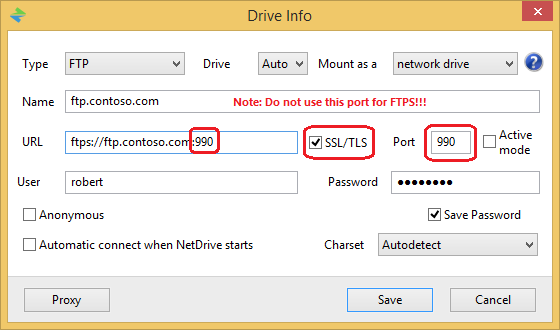 Despite several attempts, I could not get NetDrive to work with Implicit FTPS. I could find no way to customize an FTP connection in order to enable true FTP hostnames. 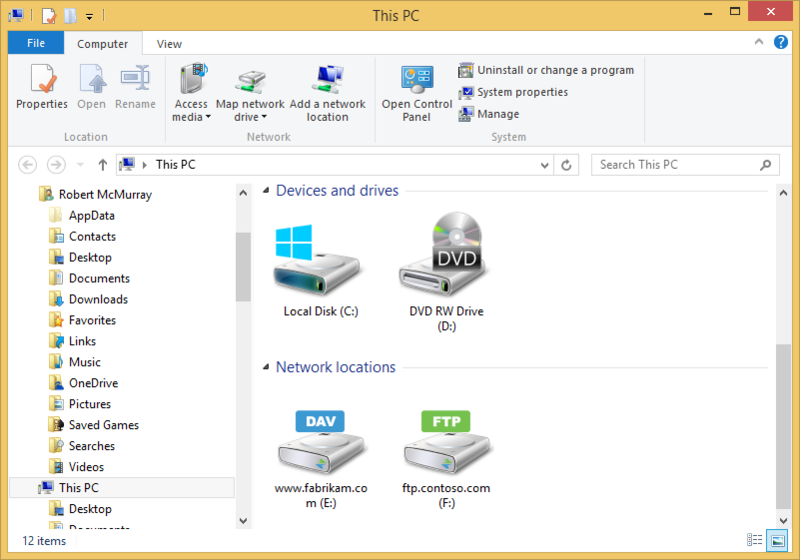 That wraps things up for today's review of NetDrive 2.3. Your key take-aways should be: NetDrive has some nice features, and it supports a wide variety of protocols with a similar user experience; that being said, NetDrive has very few settings for drive connections, so its capabilities are somewhat limited.